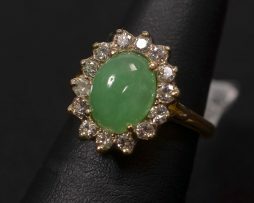 John Wallick Jewelers: Lady’s 14kt yellow gold, jade and diamond cluster ring. John Wallick Jewelers: Blue Silk Ring. 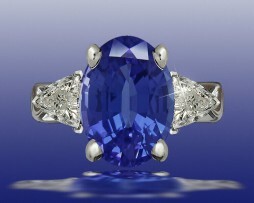 Oval cut blue sapphire and (2) trillion cut side diamonds in 14kt white gold. 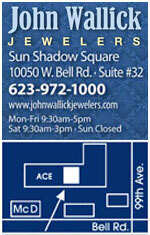 John Wallick Jewelers: Emerald Ring. 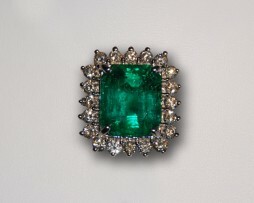 Emerald ring containing (1) emerald and (2) trillion cut diamonds in 14kt white gold. 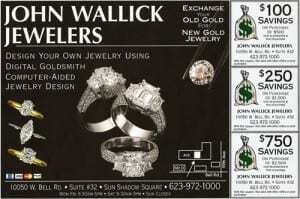 John Wallick Jewelers: Emerald, Opal and Diamond Ring. Lady’s 18kt opal, emerald and diamond ring. This emerald is the most beautiful color of green and it weighs 4.66 carats. 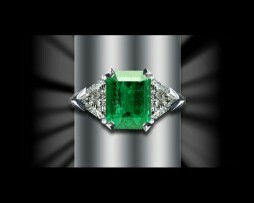 Twenty round brilliant cut diamonds totaling 1.06 carats surround this emerald. 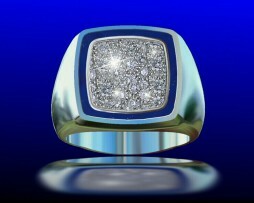 Diamonds are fine color and clarity and this ring is priced at $13,800.00. 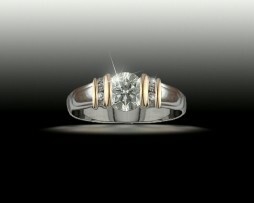 John Wallick Jewelers: Engagement Ring. Lady's oval cut diamond ring in yellow and white gold with round diamonds channel set on the sides. 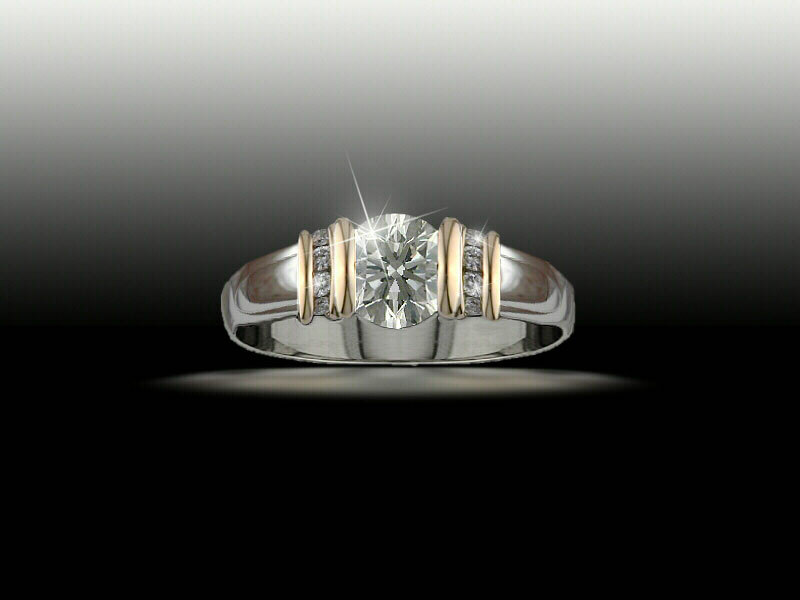 John Wallick Jewelers: Gent's Ring. Gent's ring with enamel around the outside and a pave' of diamonds in the center in yellow gold. 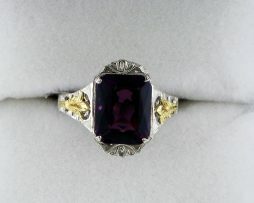 John Wallick Jewelers: Lady’s 14k white gold checkboard top amethyst ring. 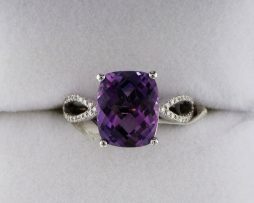 John Wallick Jewelers: ladies amethyst and diamond ring. 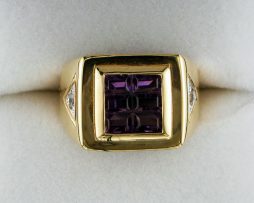 John Wallick Jewelers: ladies amethyst white and yellow gold ring. 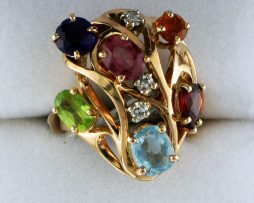 John Wallick Jewelers: Ladies multi colored gem stone ring with an amethyst. 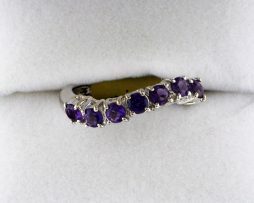 John Wallick Jewelers: ladies white gold amethyst ring. 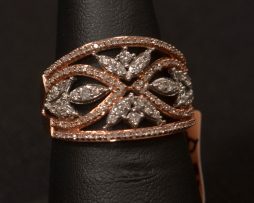 Lady’s 10k rose + white gold diamond band engagement ring.